Play with our foster cats and try our delicious coffee (the thaÃ¯ way! ), or just relax with some great music and new friends. Our homestay is not just a place to sleep, but a unique hub of coffee, tea, music, culture, family, home, education, travel, and backpacking. The guest house has easy access to different transportation methods, such as taxis and riverboats. It is 800 metres from China Town and 1.5 km from Hualumphong Train Station. Suvarnabhumi International Airport is 27 km away. 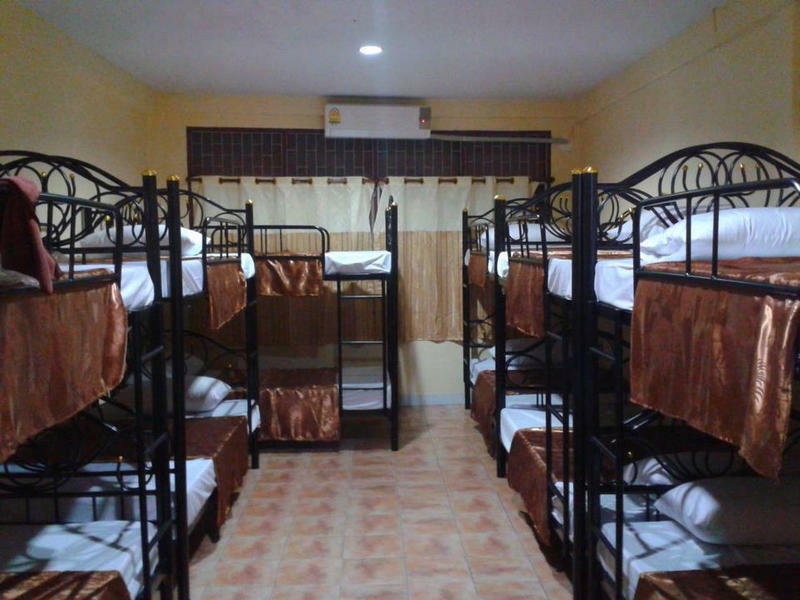 We currently have one twelve-bed dorm, with an attached bathroom. -washing machines (for use with a small fee). -We also have a 24-hour front desk, where we can give you lots of information on our neighbour, as well as the best kept secrets of Bangkok. -Coffee and tea is served at our joint Speak Easy CafÃ© on the first floor. - Bangkok River Taxi: Get river taxi to Ratchawong Pier, then cross over to Tha Din Daeng Pier. From the pier, walk down Tha Din Daeng Pier away from the pier and our homestay will be on the left (look for the sign â€˜Speak East Cafe and We Are Backpackers Homestay). - Khao San Road: Get the number 6 or 43 bus from Khao San Road, get off at the intersection of Tha Din Daeng Rd and Som Det Chao Phra Ya Road, and walk up Tha Din Daeng Road towards the river. We are number 392 on the right. - Krung Thonburi BTS Station: Get the number 20 or 167 bus from the station. Get off at the intersection of Tha Din Daeng Rd and Som Det Chao Phra Ya Road, and walk up Tha Din Daeng Road towards the river. We are number 392 on the right. Alternatively, it is a 25 minute walk from the station. - Don Muang Airport: Get A1 shuttle bus from airport to Mo Chit BTS station. Change at Siam, and head to Krung Thonburi Station (details on getting to hostel from Krung Thonburi BTS above). Or get the train to Hua Lamphong Station, get a taxi to Ratchawong Pier and cross on a river taxi to Tha Din Daeng Pier (around 60 baht all up for this option). Taxi is around 300 baht. - Suvarnabhumi Airport: Get train to Phaya Thai, transfer to Sukhumvit Line heading towards to Bearing. Change at Siam, and head to Krung Thonburi Station (details on getting to hostel from Krung Thonburi BTS above). Taxi is around 400 baht. - Hualumphong Train Station: Get a tuk tuk or taxi for around 50-60 baht to Ratchawong Pier, then cross over to Tha Din Daeng Pier. From the pier, walk down Tha Din Daeng Pier away from the pier and our homestay will be on the left (look for the sign â€˜Speak East Cafe and We Are Backpackers Homestay). - Ekkamai Bus Station: Get the BTS to Siam. Change at Siam, and head to Krung Thonburi Station (details on getting to hostel from Krung Thonburi BTS above). Or alternatively get bus number 149 to the intersection of Lat Ya Rd and Tha Din Daeng Road.